Today, Kazakhstan's Olympic champions and prize-winners of the Games, as well as the honored figures of the Olympic movement planted fir-trees on the Sports Star Alley in Astana. Alley of Champions is the joint eco-initiative of the National Olympic Committee of Kazakhstan and the akimat of the city of Astana, which has a traditional order. Alley of Champions was found last year with the participation of winners and prize-winners of the Olympic Games in Rio de Janeiro. 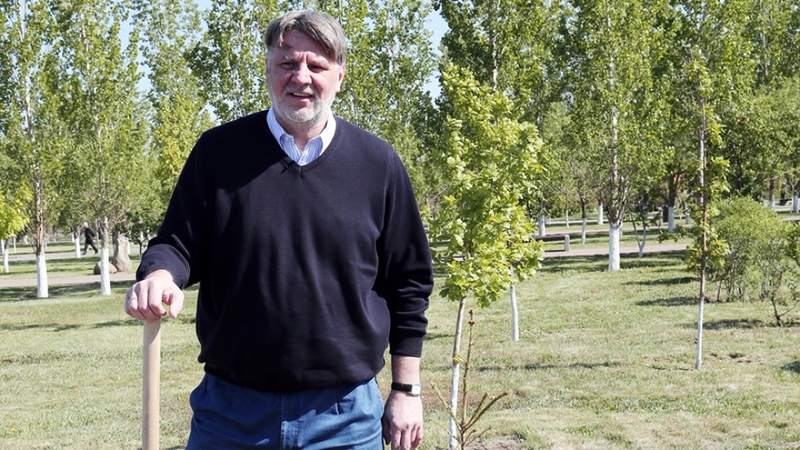 Valeriy Tikhonenko, the General Manager of PBC Astana, planted a tree with the other champions of the Olympic Games: Sergey Kotenko (water polo), Yuriy Melnichenko (Greco-Roman wrestling), Olga Shishigina (track and field athletics), Ermakhan Ibraimov (boxing), and prize-winners of the Olympiads Victor Aboimov (swimming) and Bolat Zhumadilov (boxing). «Athletes should not only bring medals from competitions, but also be an example for others in such noble events. Thanks to our Olympic committee for constantly inviting us, veterans. Besides it was very nice to see our old friends — «our youth team,» — Valeriy Alexeevich says.